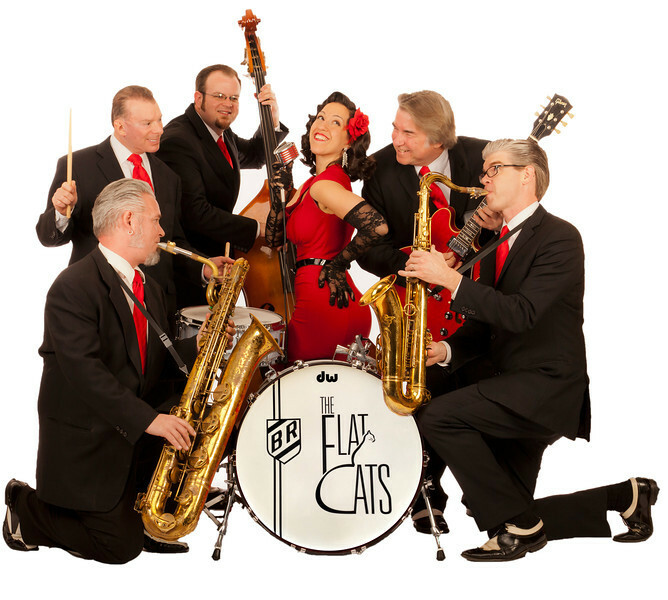 The Flat Cats have performed at many different venues and events throughout the Midwest, including Navy Pier, The Drake Hotel, Arcada Theatre, Willowbrook Ballroom, Pete Miller’s, Green Dolphin Lounge, and the Summer Dance Series in Grant Park. The band has also backed legendary singing groups such as The Drifters and The Crystals at major venues like The Chicago Theatre, Star Plaza, and Pabst Theatre in Milwaukee, WI. In 2009, The Flat Cats were featured on the WGN Chicago Channel Nine morning news show. The Flat Cats perform their music equally well in any environment, from cocktail music for your dinner event to a full theater/stadium show for thousands. The variety of our music library allows us to tailor our style and sound to fit your special event. From weddings to corporate parties to a feature act for your festival, The Flat Cats deliver quality entertainment for all ages.